We're going to remember 2018 for a lot of reasons, but one of the most important was that it gave rise to The Man. Becky Lynch wasn't supposed to be main eventing shows. Becky Lynch wasn't supposed to be in a high-profile matchup with Ronda Rousey. Becky Lynch wasn't supposed to be the most popular WWE Superstar right now, regardless of brand or gender. And yet she made it. Make no mistake. This wasn't the plan at all. Charlotte was supposed to come out looking like the top female babyface on SmackDown after Becky acted like a sore loser following their Triple Threat SmackDown Women's Championship Match at SummerSlam. But like most plans, well, things didn't fall into place as they were originally intended to. What followed was a confluence of factors from her frustration with where she was career-wise, to her taking advantage of an opportunity she was given, to the WWE Universe being galvanized to rally behind her. And it all led to this, the biggest match in Becky's career to date—the blowoff for the hottest feud in Becky's career up to this point. Charlotte and Becky Lynch left it all out there and sought out to show WWE something a lot of us already knew: give the women time and a good story and let them blow the roof off in an epic battle in the ring. In the end, Becky Lynch raised her SmackDown Women's Championship as the Last Woman Standing, asserting herself the way we'd always wanted her to. This moment was supposed to springboard her into another major showdown—this time against RAW Women's Champion Ronda Rousey. But it wasn't meant to be after an errant punch thrown by Nia Jax on the RAW before Survivor Series. Never mind that WWE Evolution ended up looking like a consuelo for WWE Crown Jewel and all the red flags that came along with it. Never mind that Becky had to get sidelined for Survivor Series. Never mind that we aren't getting that match between Becky and Rousey. If the rumors going around right now are to be believed, this could be another blessing in disguise for The Man. 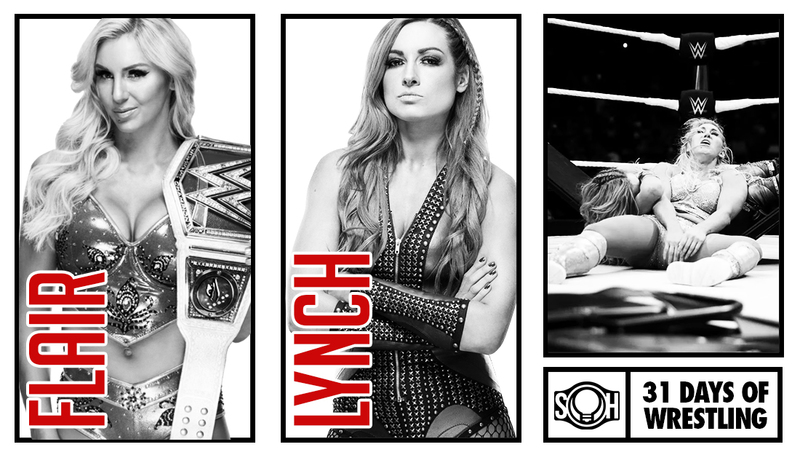 If these rumors are true, then that match between Becky Lynch and Ronda Rousey could very well main event WrestleMania 35—the first-ever women's match to achieve such a feat. Not bad for someone who wasn't supposed to be here.